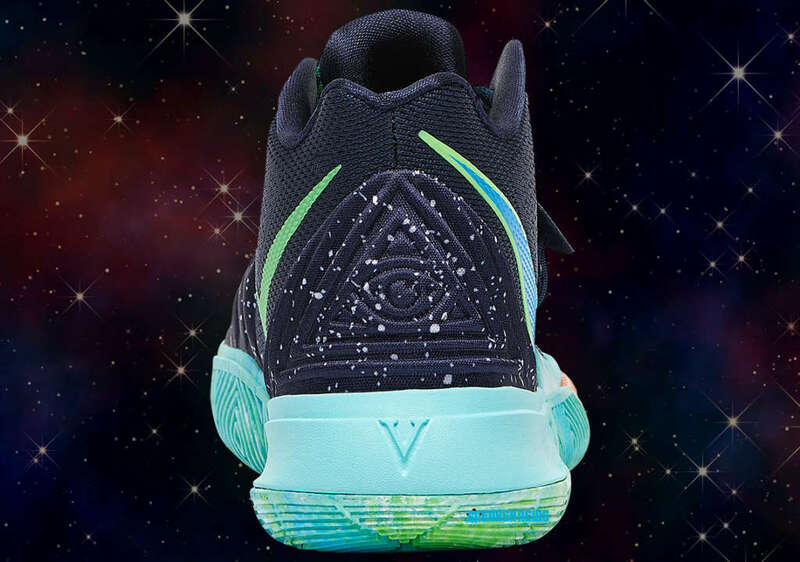 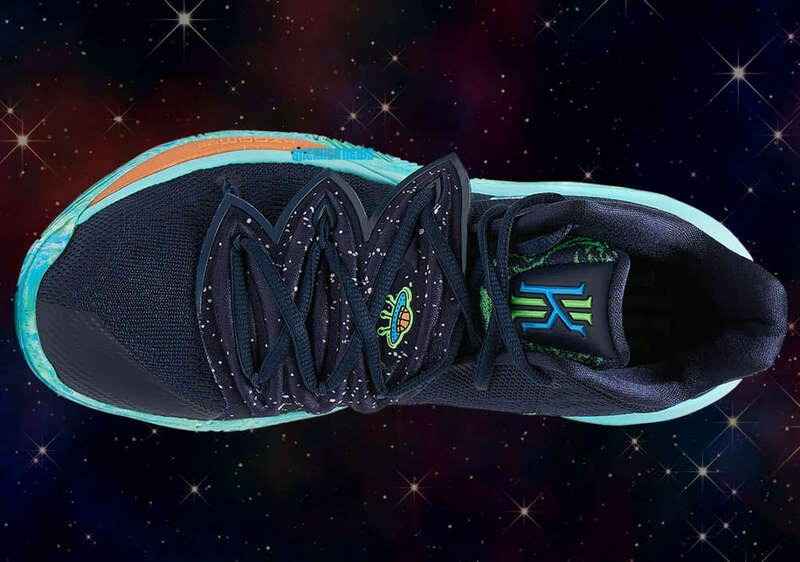 Nike Basketball has dressed the latest KYRIE 5 colorway in a UFO theme. 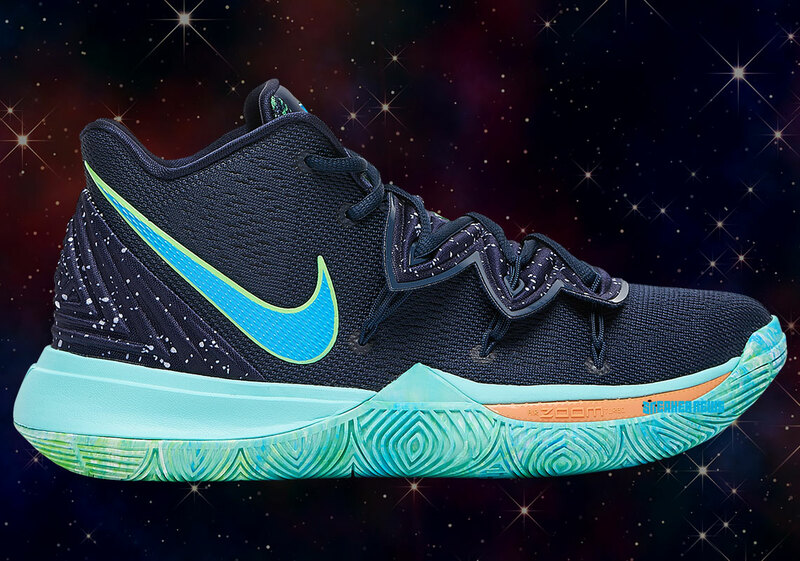 The design is set in a celestial obsidian base with “star” splatter detailing. 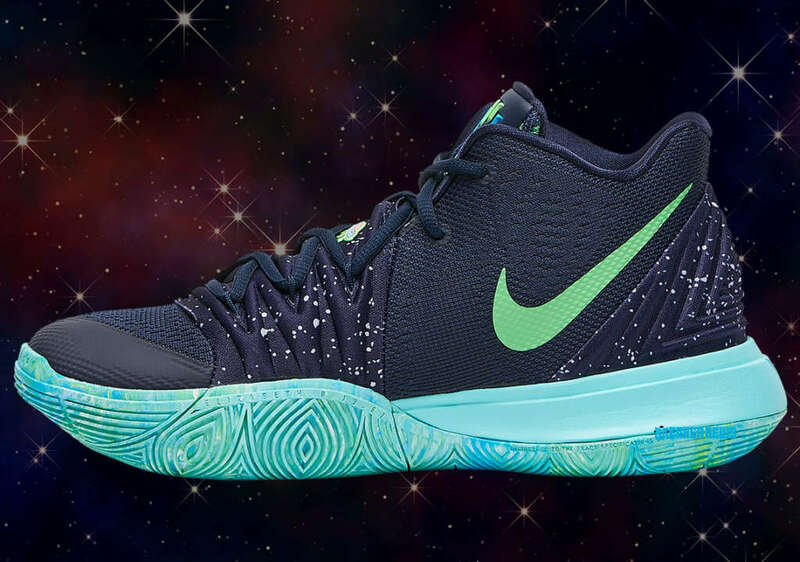 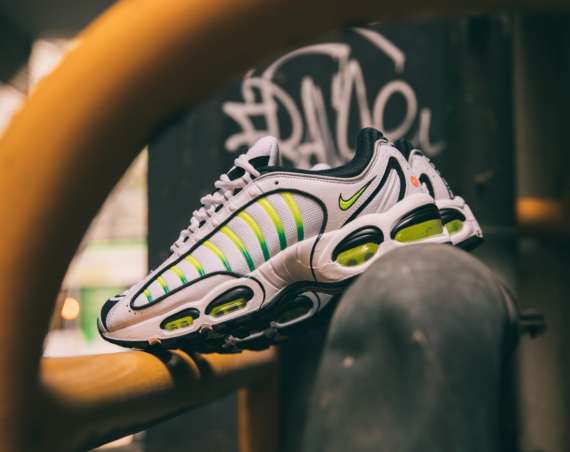 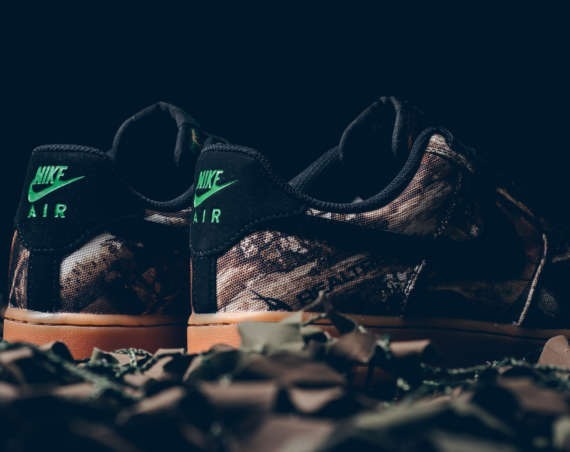 Nike then adds some light current green and scream green that evoke astrophotography images of nebulas. 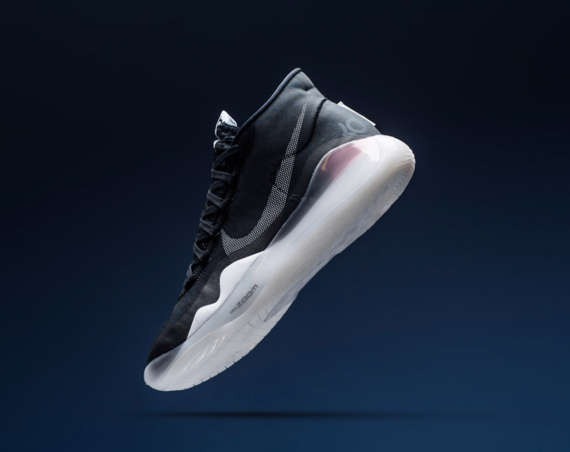 Nike then places a flying saucer on the sneaker’s tongue, which sets the theme. 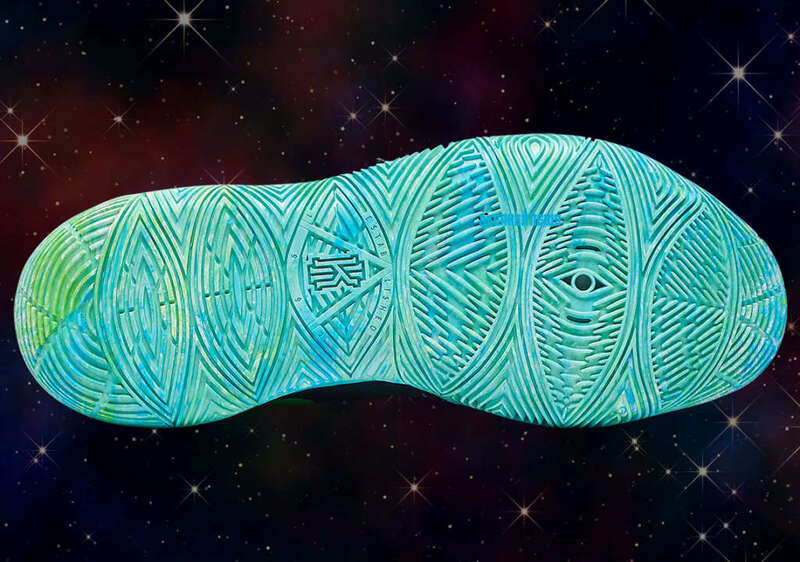 Furthering the theme, Nike adds an eye on the heel, which may be a reference to the Ancient Aliens television series. 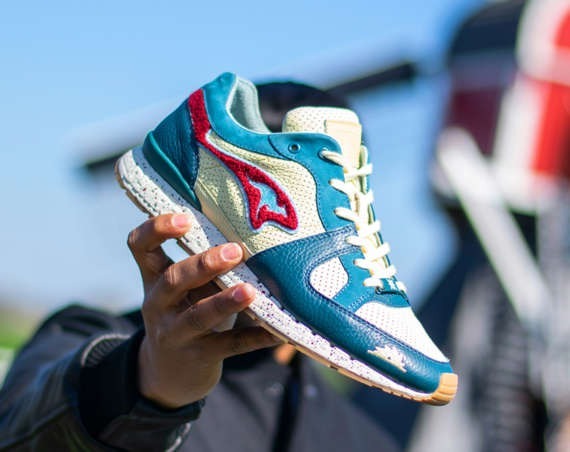 The sneaker will launch on the 20th of April.